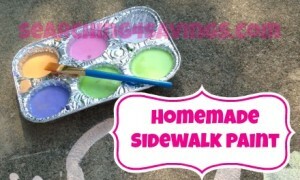 Make your own Homemade Sidewalk Paint! Kids love sidewalk paint, but have you checked the price of this stuff lately? Geez! You wouldn’t believe how easy it is to make your own Homemade Sidewalk Paint. You only need 3 things! Kids will not only have fun using it, but it makes for a fun project making it too! 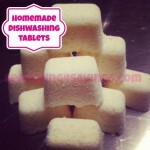 Mix the Water and Corn Starch together until all the lumps are gone and mixture is smooth. Pour equal parts into small cups. 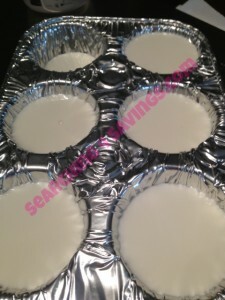 We used a disposable cupcake tin that we had on hand. 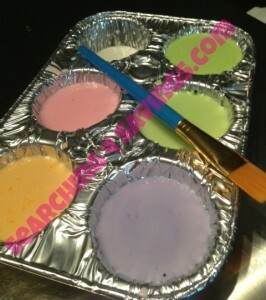 Add food coloring of your choice into each cup until you reach your desired color. I used one cup to put water in so the kiddos could rinse their brushes. Head outside and let your imagination go wild! This paint goes a lot further than the store bought stuff! 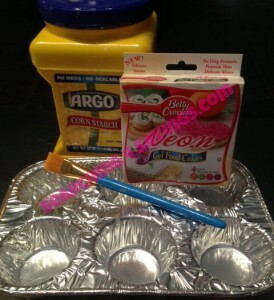 If you have left overs, just cover with plastic wrap and set in a cool place to use again another day! 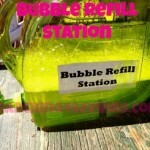 Click Here to learn how to stop Wasting Bubbles! Oh my goodness this is perfect for the grands!!! Thanks for posting!! 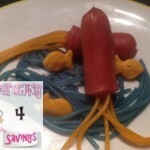 This is so easy to make! I am goin g to do this for my kids! Wow what a wonderful easy recipe. My grand kids are going to love this. What fun they will have. FUN! Thanks for sharing with the Clever Chicks Blog Hop, I’ll be featuring this post in this week’s hop. Please come grab a Featured Button to display in your sidebar or post! 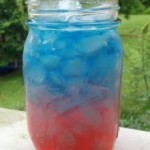 The Grands will be here this weekend and this will be a wonderful thing to try with them!